There are no shortages when it comes to the amazing breadth of designs available in modern carpets. From solid colour, to simple geometrics, the florals, flowers, and the abstract, to intricate layered designs, the painterly, and photorealistic, the contemporary well informed carpet consumer does not want for selection or options. And that is solely in reference to readymade carpets, not mentioning those that are made-to-order or bespoke. If a consumer is presented with near limitless options in carpets ready to take home today, what further benefit is to be found by offering options only bound by time and money and ones imagination? The prima facie rhetorical answer is that you, as the consumer can have absolutely anything your heart desires in a carpet. Period. Do you want a photo of your cat ‘Muffy’ turned into a handknotted carpet? That can be done. 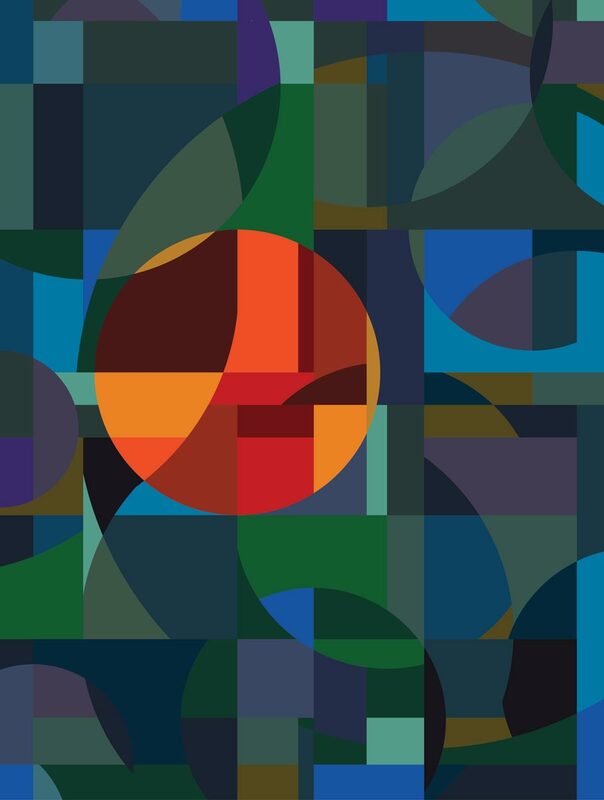 Do you have old artwork from design school that in hindsight might look stunning as a carpet gracing the floor of your bedroom? That too can be done. The caveat of course is that by offering virtually unlimited options, the rug and carpet industry – much the same as Netflix, may actually be providing too many options resulting in ‘choice overload’ – a term first introduced by Alvin Toffler in his 1970 book, Future Shock. This is a kind of self-induced paralysis in which the consumer is unable to decide, as I see it, out of the fear of making the wrong decision. Further reading on the subject such as The Paradox of Choice – Why More Is Less by American psychologist Barry Schwartz postulates that winnowing consumer choices can greatly reduce anxiety for shoppers. 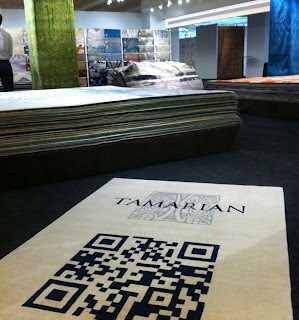 As someone who has formerly done well making custom carpets I cannot argue for the elimination of custom or choice carte blanche, but I can speak at extraordinary length (though I won’t) about how too many options can – both for consumers and salespeople – make the process slow, tedious, and occasionally for naught simply because decisions cannot, or rather, are not made. The job of rug and carpet dealers then, working with Interior Designers or the well informed consumer is to guide and inform this decision making process sorting through the haystack if you will, to find that perfect needle. Since all of this ‘choice overload’ as it pertains to carpets has been brought about by advances in technology that now allow the rug industry to take that aforementioned image of the cat or artwork, scan it, and then – to be succinct – ‘Voila!’ a handmade rug, it seems only appropriate to introduce you by way of illustration, to the dominant software used for creating modern carpets: Galaincha. 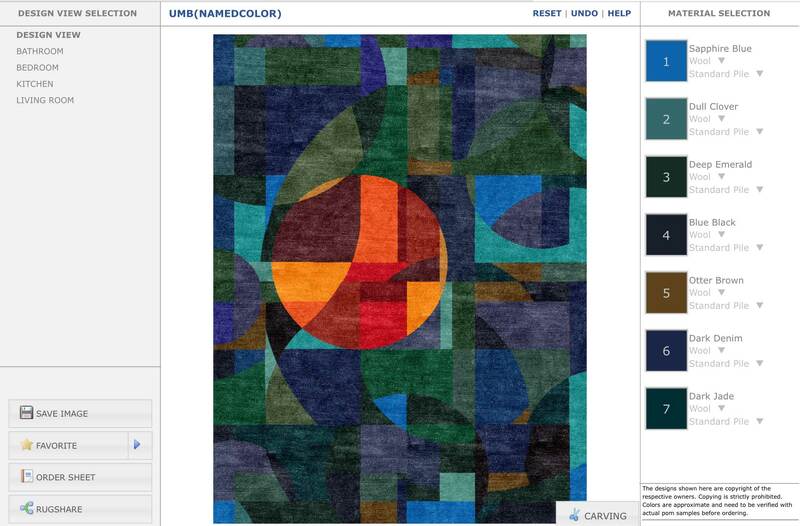 Galaincha is a software program designed specifically for the handmade rug industry to improve efficiencies and accuracy, decrease wastage, and improve the ability of carpet designers to produce more detailed rugs and carpets. According to a survey conducted by Galaincha, 100% of rug industry respondents agree that the ‘majority’ of the Nepali rug industry’s graphs are now done on computer. Furthermore, most respondents (80-90%) agree Galaincha allows for more complex designs, better estimation of materials, reduced graphing times, and provides the customer the ability to quickly gauge relative cost with material changes, exemplum gratia: silk versus wool. It is precisely this type of evolution, be it in language, technology, or what have you, that preoccupies discussion of how much ‘hand’ should be in handwork. What new technologies should be embraced, balanced against preserving the inherent, sometimes unquantifiable, and occasionally unwanted characteristics that ‘by hand’ lends to handmade. While some mystique as we’ll call it is desirable if not also revered (such as discussed in ‘Authentically Kooches‘), in the face of consumer anxiety ‘Galaincha’ and I quote Dr. Tandukar ‘gives peace of mind to the end consumer, retailer, designer as well as to the manufacturer of the rug. It HELPS [emphasis mine] to convert any design concept into a realistic looking visualization in the shortest possible time.’ Furthermore since this work is all generated by Galaincha ‘…and ‘tied’ to the production graph, the rug can be produced exactly as visualized, in knot by knot accuracy.’ Dr. Tandukar explains. As a self-professed luddite of sorts I ponder the mystique of drawing and translating a design by hand, wondering if the the labour intensive process, one filled with many opportunities for human error as anyone who has ever played the game ‘Telephone’ can attest, is the epitome of carpet production, or simply another step in its evolution. ‘[Galaincha was developed] initially as a requirement from one of my acquaintances to convert a computer graphics image to a hand knotting graph.’ Dr. Tandukar explains, ‘But then, once we started to work with the industry people, what got us hooked into [the rug industry] were the enormous possibilities that we could see technology bringing to this industry. Now if we look back, we brought technology to one of Nepal’s most important industries. 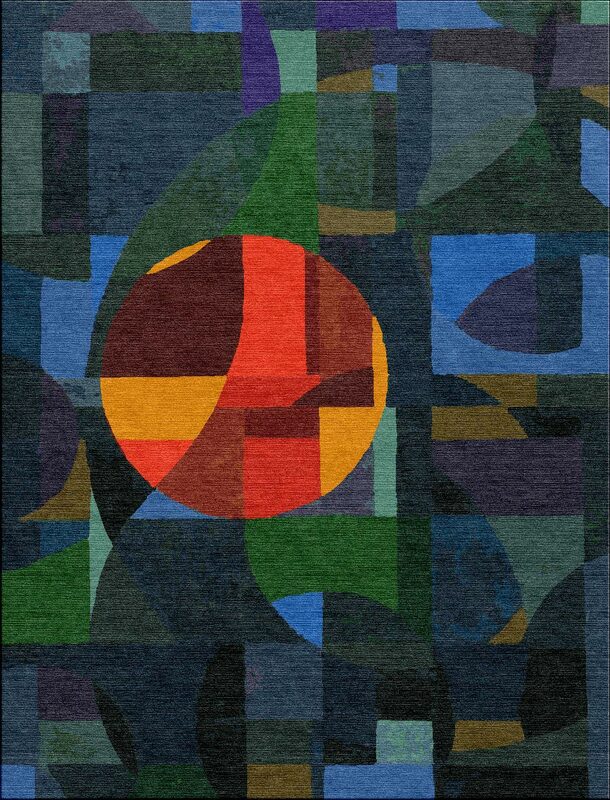 To illustrate Galaincha’s potential to help the design and decision making process I asked Dr. Tandukar to use the aforementioned ‘artwork from design school’ which in this case is a project from my Colour Theory Class comprised of two (2) paintings, and translate the artwork into a carpet design. For this purpose, the mixed neutral colourway is shown as the original, evolving into the colour painting and the Adobe Illustrator versions both shown below. 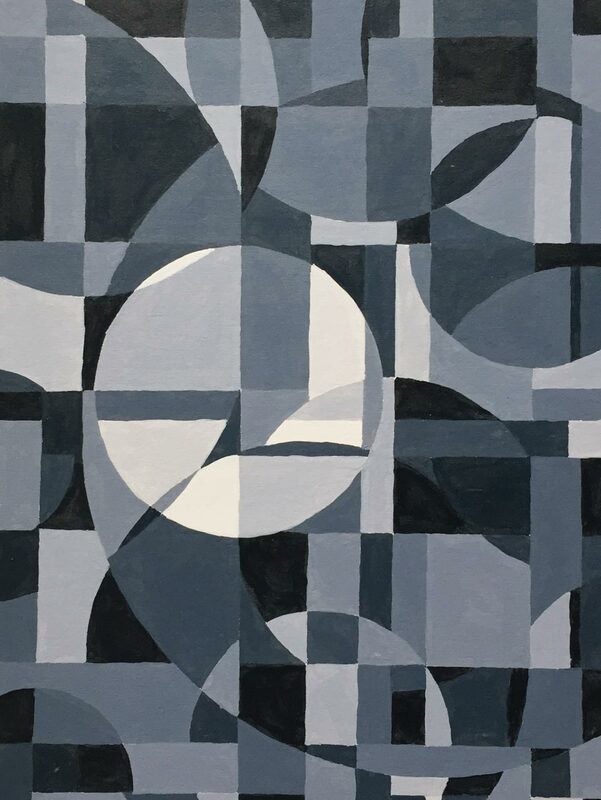 As I recall the purpose of this project was to design a piece that could be shown either in colour or in greyscale while maintaining similar contrast. The greyscale version is more ‘flat’ in my hindsight opinion, but perhaps that is reflected in the ‘B-‘ I received for this project. What these colour images represent are two (2) distinct methodologies for creating artwork, split more or less along generational and philosophical lines. On one hand we have the authentic handmade painting representing the former state of the art versus the digital which represents the now relative state of the art. Dr. Tandukar was then kind enough to use both images and create visualizations of the potential finished carpets. In comparing these two (2) visualizations I feel confident in saying they are all but identical to the untrained eye and in my vast experience with carpets of this genre, I feel fully confident in saying both accurately represent what the finished carpet can look like; assuming it is woven to the specifications provided by Galaincha. Sure there are minor differences (mostly related to correctable colour selection), but this is a long way and marked improvement from twenty-years ago when custom carpet renderings were created with black and white line drawings and coloured pencils. But does realistic visualization detract from the beauty of handmade carpets by removing some of the mystique? Dr. Tandukar provides his answer. ‘It depends upon how do you look at it. Twenty years back, when the rug shipped from Nepal and arrived at the shop, you would be anxious [wondering if there would be] errors in proportions and translation. Because despite ‘mystique’, eventually it has to be delivered to the client who ordered it and s/he has to accept every alteration as hand knotted mystique.’ This regardless of the desired or intended result. If there existed an egregious and unacceptable error, the carpet could be rejected at great cost and potential waste, only to be remade – hopefully – correctly. Dr. Tandukar continues, ‘Knotting rugs is ancient craft, but for its sustainability on this scale, it has to run as business, and realistic visualization ensures sustainable business because it eliminates those uncertainties in production. Therefore, in my opinion, it enhances customer confidence. And at the end, because the software only facilitates the process and the actual knotting process is still completely manual, the rug is still an artistic and valuable handicraft preserving its mystique.’ Not only that, but for those producing the rarest and most refined carpets, the processing of the raw materials is still done entirely by hand, further preserving this so-called mystique. Eliminating samples is not only environmentally sound (What does one do with a rug sample after all?) but it speeds up the decision making process. Formerly a customer would need to either 1) Trust the dealer and his confidence in the manufacturer or 2) Order a sample/strike-off. The former is often a difficult proposition for trained Interior Designers let alone well informed consumers and the latter is time consuming adding anywhere from four to twelve (4-12) weeks to the decision making process. 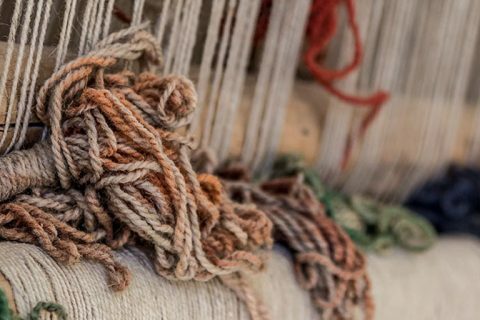 As alluded to at the outset, the upmarket portion of rug industry now revels in its ability to deliver not just any (old) rug or carpet but one that suits and caters to the whims, wants, and desires of customers willing to pay for such features. Assuming then you find ‘untitled’ attractive but despise the ‘Moody Blues’ colouration, The Ruggist is pleased to present a portion of Galaincha for your experimentation. Feel free to colour ‘untitled’ by Michael Christie as you so desire. To load the customization tool in a new window/tab for a live interactive demonstration of some of the features, Click here! We highly recommend that you do! But just as buying paint and brush does not an artist make, so too does the ability to scan a photo or click around a screen changing colours not make one a rug designer. The tools – regardless of their sophistication – are but the means. Without the time honed skills and experience of a trained (self taught or otherwise) carpet designer, working collaboratively with client and manufacturer, the process can and often does become bogged down by choice overload. If you’re considering a custom, bespoke, or made-to-order carpet please trust in your Interior Designer or the reputable carpet merchant if they tell you: ‘Your colour and design decisions will not make an attractive carpet.’ With Galaincha, or similar software, they’ll even be able to show you why. Footnote: In this post industrial revolution battle of technological progress versus the status quo the history book on the shelf is always repeating itself, to quote ABBA. New technologies and economizations will come to pass, and it is the roll of anyone who genuinely or purportedly cares about handmade rugs and carpets to defend as much handwork as possible, while simultaneously embracing new technologies and innovations that enhance and preserve, not lessen or hasten the demise of the former. But enough proselytizing. The design ‘untitled’ by Michael Christie was made over twenty-one (21) years ago, and thus, in the spirit of ‘Copyright Footnote‘ I am making the carpet design available for anyone to use, free of charge. If you would like to make this as a carpet you may do so provided proper credit is given. You must contact The Ruggist, prior to producing this carpet. The Galaincha working file (requires a licensed version of Galaincha) can be downloaded by clicking on the button above.